The PVRE (Polar Virtual Reality Exhibit) promotes informal STEM education in polar research through an innovative new interactive learning display that uses virtual and augmented reality technology. The developed display system combines the successful techniques of touch enabled tabletop displays with head mounted display (HMD) technology to deliver an immersive 3D learning experience for the IceCube Neutrino Observatory located at the South Pole. 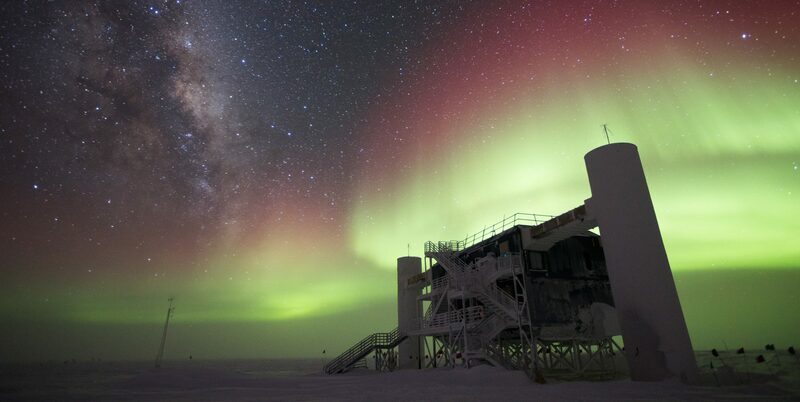 At the South Pole is the IceCube Neutrino Observatory, which has been collecting a huge amount of data. IceCube is headquartered at UW-Madison and its science is run by an international collaboration of more than 300 scientists aiming to learn more about the extreme universe by using high-energy neutrinos. The foundation of this project is built upon a strong collaborative effort between the Living Environments Laboratory (LEL), Wisconsin IceCube Particle Astrophysics Center (WIPAC), and Field Day Laboratory groups from the University of Wisconsin – Madison campus. The display system will be installed at the Wisconsin Institutes for Discovery Town Center, a public space that attracts close to 50,000 people per year encompassing all age ranges and ethnicities. The display system will be used to gain a better understanding of how such technology can promote informal STEM learning about research in polar regions.